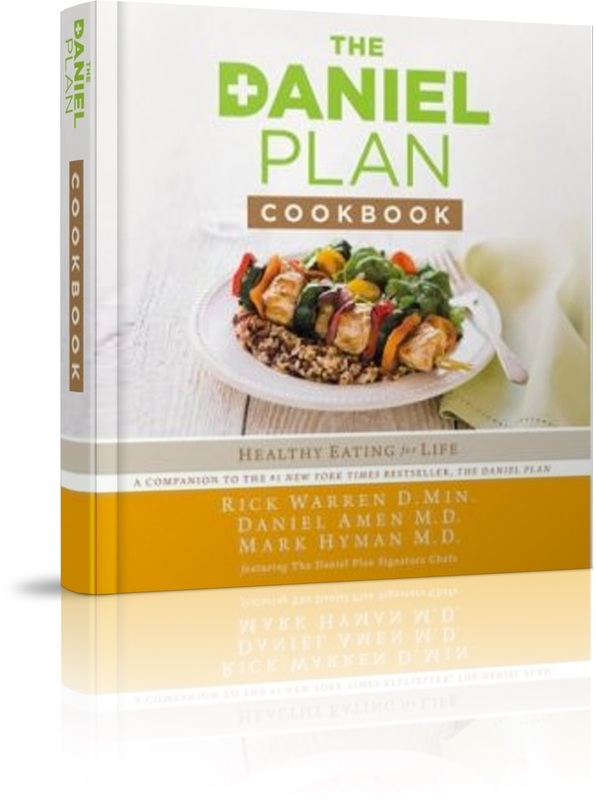 Companion product to The Daniel Plan book and journal from bestselling authors Rick Warren, Daniel Amen and Mark Hyman. The Daniel Plan, Healthy Cooking for Life is a four-colour cookbook filled with 100 delicious, Daniel Plan approved recipes that offer an abundance of options to bring healthy cooking back into peoples kitchens. This eye-appealing cookbook is filled with easy to prepare, mouth-watering recipes. All the recipes are based on The Daniel Plan plate that emphasises eating nutritionally-packed whole foods. Readers can choose from a variety of delicious options to create weekly menus. Eating The Daniel Plan way is healthy, wholesome, boosts energy and kick starts the metabolism. The book also includes practical tips from doctors and important food facts and inspiration from Daniel Plan signature chefs. The Daniel Plan Cookbook by Rick Warren; Daniel G. Amen; Mark Hyman was published by Zondervan in April 2014 and is our 6844th best seller. The ISBN for The Daniel Plan Cookbook is 9780310344261. Be the first to review The Daniel Plan Cookbook! Got a question? No problem! 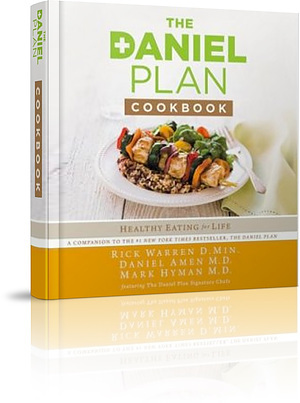 Just click here to ask us about The Daniel Plan Cookbook. A:I'm afraid not. The majority of the meals in this book use either egg, chicken, or fish. This one does though, have vegan recipes: https://www.eden.co.uk/shop/the-daniel-fast-made-delicious-4378108.html Thank you for using the Q&A forum.